The patellar tendon connects the kneecap to the leg. During sports that involve running or jumping or because of tendonitis, certain medical conditions, or steroid use, the tendon can tear. Small partial tears may heal with non-surgical treatment; however, most patellar tendon tears require surgery followed by physical therapy rehabilitation. The knee is composed of three bones. The thighbone (femur), sits on the larger leg bone (tibia). The kneecap (patella) glides in a groove on the end of the femur. The upper portion of the patellar tendon attaches at the lower side of the kneecap. The lower portion attaches near the top of the tibia (anterior tibial tubercle). Tendons are strong tissues that connect muscles to bones. The patellar tendon plays a role in holding the kneecap in place and straightening the knee. The patellar tendon can tear completely or partially. Complete patellar tendon tears tend to detach at the kneecap. Such injuries occur from a strong impact to the knee or during sports that require running or jumping. Partial tendon tears usually occur in the middle of the tendon, because of patellar tendonitis, chronic disease, or steroid use. Weak or inflamed tendons are more likely to tear. Patella tendon tears happen more often in middle-aged people. A doctor diagnoses a patellar tendon tear by reviewing your history, examining the knee, and conducting medical imaging tests. Your doctor may order X-Rays or magnetic resonance imaging (MRI) scans to provide views of the knee bones and soft tissues to confirm the diagnosis. Orthopedic surgeons treat patellar tendon tears on a case-by-case basis. The type of treatment that you receive depends on several factors, including your age and activity level, as well as the size and type of tendon tear. Some very small tears are treated non-surgically. You may wear a knee immobilizer and use crutches for three to six weeks. A physical therapist will first teach you exercises to strengthen the muscles (quadriceps) that straighten the knee. Your physical therapist will increase your exercise regime as you heal. Most people with patellar tendon tears require surgery to reattach the tendon to the kneecap. Surgery to repair a torn patellar tendon usually requires an overnight inpatient stay, although it may be performed as an outpatient surgery, depending on the circumstances. Patellar tendon surgery is performed with regional (spinal) anesthesia or general anesthesia. To begin, the orthopedic surgeon makes an incision over the kneecap. The patellar tendon is reattached to the kneecap with sutures or surgical hardware. The surgeon carefully checks the kneecap position and tendon tension. Your doctor will prescribe pain medication and recommend ice following surgery. You will wear a brace or cast and use crutches at first, gradually increasing the amount of weight that you put on your foot. As you heal, physical therapists will teach you strengthening exercises. You will gradually be able to bend your knee, per your doctor's instructions. 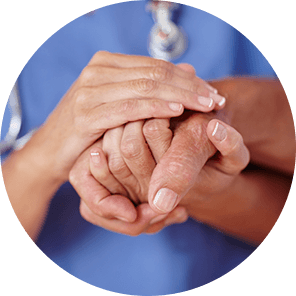 Complete recovery can take 6 to 12 months, depending on the extent of injury and surgery. 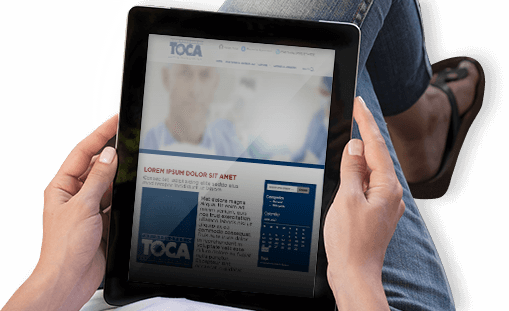 Our orthopedic patient education library features more than 200 award-winning articles with images, videos, and tons of helpful information. Keep up with the latest developments in orthopedics, as well as news about our practice and Dr. Duhon. At The Orthopedic Clinic Association (TOCA), Dr. Sherwood Duhon is a board-certified, fellowship-trained expert in reconstructive surgery and sports injury. Dr. Duhon provides outstanding orthopedic services to residents in southern Arizona.